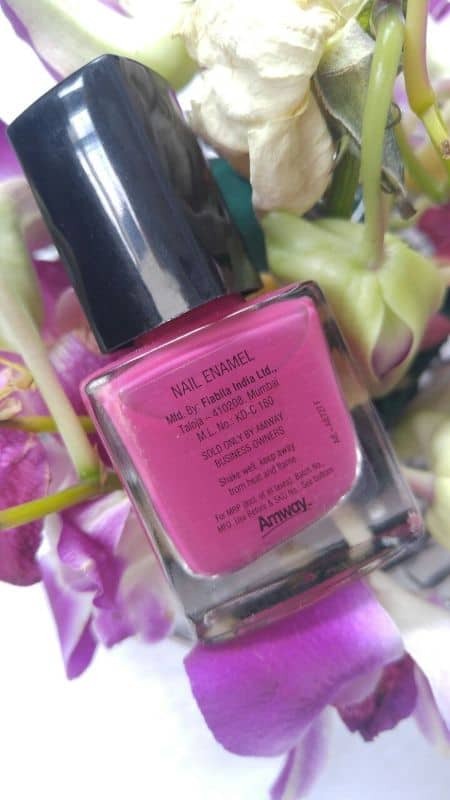 Today I am going to review one nail paint and its shade called, Bold Pink Nail Enamel from the brand called Amway. 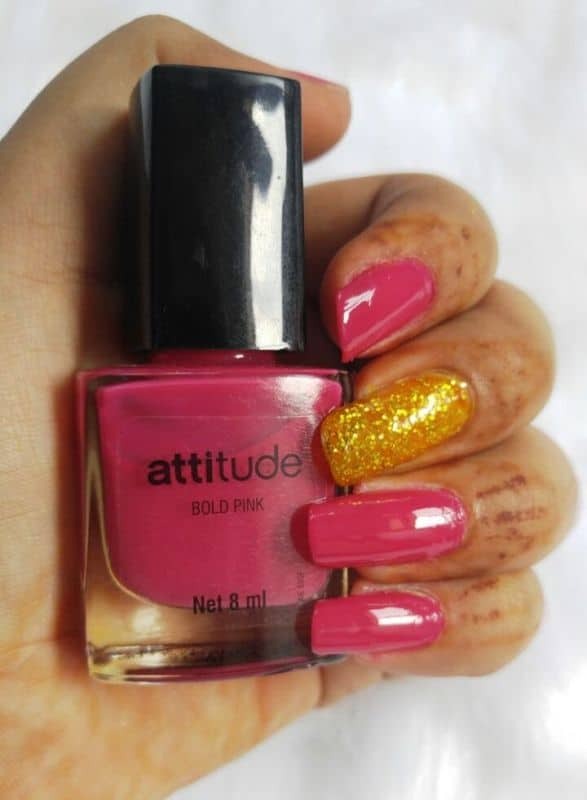 This nail enamel comes from their own brand Attitude, thus it is called Amway Attitude Bold Pink Nail Enamel. Amway Attitude is very well known for its skin care products. It has very wide range of skin care products for all the skin types. 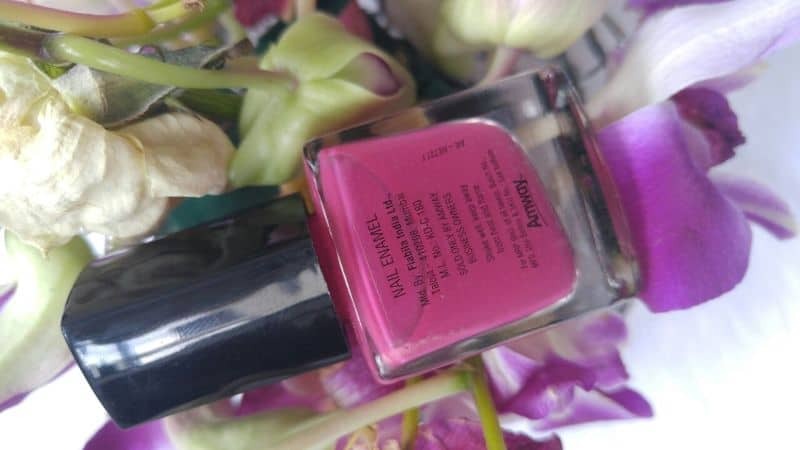 Amway bold pink nail enamel comes with sleek rectangular glass body with an easy operating cap. Its brand name and the other details are neatly visible on the product. 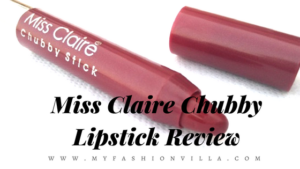 This shade has a glossy finish and perfectly smooth texture. It goes so smooth on the nails! (I just glided the brush again and again for it was so much fun ;-P). 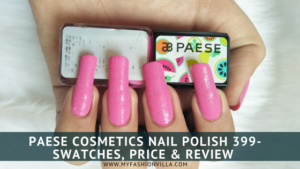 It gives you complete opaque finish after 2 coats. It lasts well for 5-6 days. Its price is 206rs. The fragrance you get while painting the nails is really good. 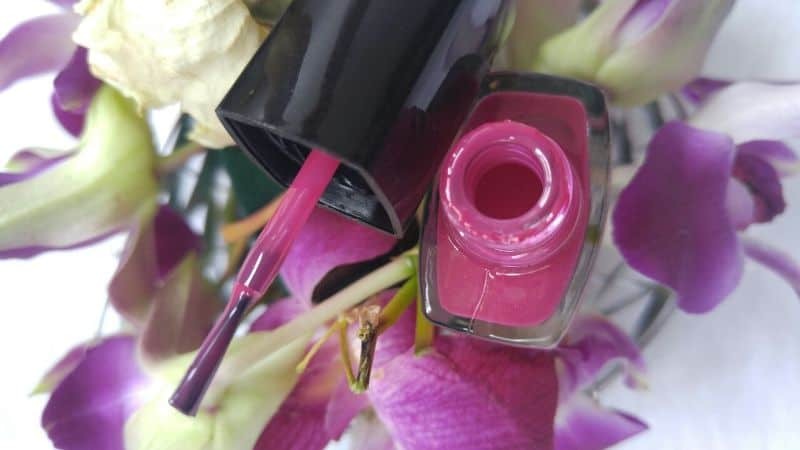 The fragrance you get while painting the nails is really good, unlike some cheap Nail Paints available in the market, it is not too harsh and strong. It requires double coats to get opaque even finish like you see in this picture. The paint dries out quickly and you can finish the application in max 5 minutes including double coats. 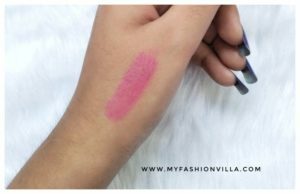 This shade is perfect to choose when you are wearing some plain white colored dress or any attire with similar pink color in it. 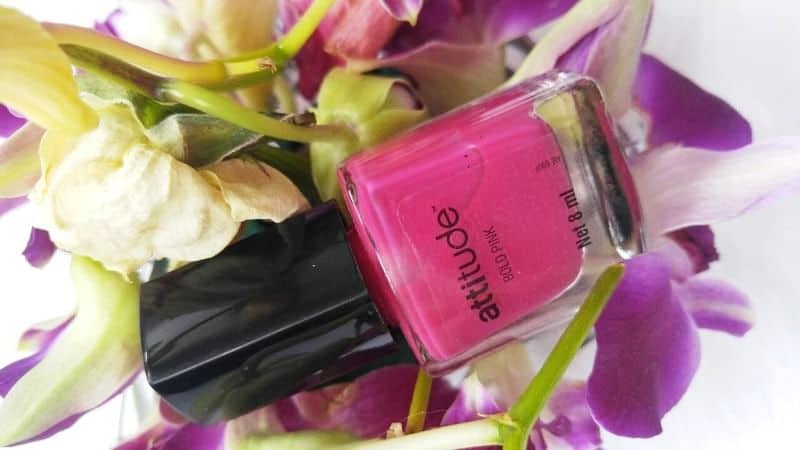 Even, I like to match my nail paint color with my accessories sometimes, like shoes, neckpiece or earrings 😉 This color is really youthful and goes well with many western and Indian attires. Tip: Apply the first coat on the nails, wait for 2 minutes and let it dry. Then apply the second coat gently for the perfect opaque glossy nails! 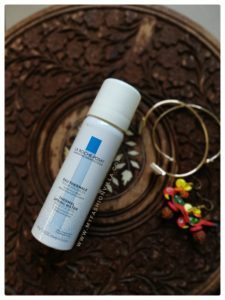 Good staying power (Stays as it is for 3 days without losing luster and shine. After 5-6 days it starts fading from corners. Loses the original luster after 3 days. « My Haircut Story! Why I went for Short Haircut?